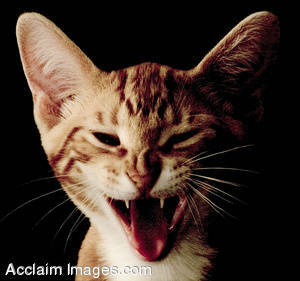 Description: Stock Photo of a Baby Kitty Yawning. Caught with his mouth open, and a wrinkled nose this little kitty was yawning from being woke up from his nap. This photo is available as an art print or poster and may be licensed as stock photography as well.